Journey with Forward Travel to an incredibly vast and breathtaking place, where a giant sheet of ice links three continents and wildlife freely roams, swims and flies across them. Where for just three months each year the ice retreats, the sun emerges, temperatures rise and this incredible world comes alive, inviting us in. 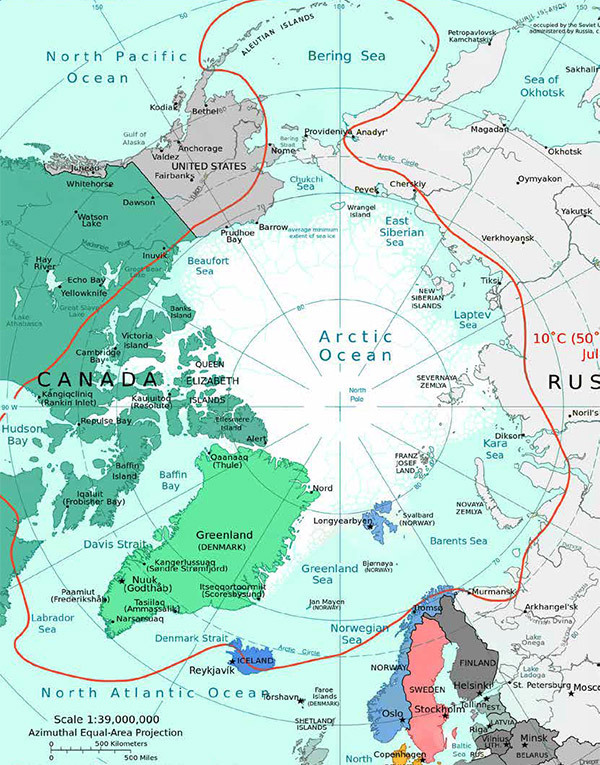 This is the Arctic, poles apart from Antarctica, and equally impressive. It is warmer; there is more wildlife, human settlement dates back thousands of years, and polar bears replace penguins. The soaring peaks of the south are replaced by rolling hills, dramatic cliffs and sprawling tundra. Polar bears are kings on land, revered and feared by all, whilst the seas thrive with fabled creatures. The narwhal with its unicorn like tusk, and walruses ply the waters year round. In summer killer whales show their softer side, coming to the shallows for a gentle tummy rub on time rounded pebbles. The vastness of the Arctic magnifies the scenery and wildlife far and wide, creating distinct and different zones. The wild, remote Canadian Arctic is filled with Inuit settlements and tales of brave exploration by man and mammals. Dazzling scenery stretches to the horizon and the definition of 'frontier' needs no words. Greenland's 'iceberg factory' annually pushes out 20 million tonnes of brilliant white skyscrapers tinged with turquoise, and soaring cathedrals with crystal spires. Svalbard, between Norway and the North Pole is more compact, luring headline hunting explorers for centuries and seabirds by the million. This is the realm of the majestic polar bear, sitting regally on top of the food chain. The surrounding countries of Canada, Norway and Iceland offer their own delights. As winter approaches the Northern Lights appear bringing another fantastic experience for travellers. Forward Travel wants to help you experience the magic of The Arctic, to be immersed in the vastness, to be astounded by the wildlife, and to be inspired by the human endeavour to explore and succeed. Forward Travel hopes its brochure will encourage you to start your own Arctic journey with them. Forward Travel hopes you enjoy reading it and looks Forward to talking to you soon. Forward Travel's preferred Polar Expedition partner is One Ocean Expeditions. Forward Travel believes One Ocean Expeditions provides the best expedition ships and the best expedition team. On all One Ocean expeditions you can be expect to be amazed, to be overwhelmed and to be even more impressed than you had imagined. You’ll receive personal, professional attention from the team, whose sole focus is to give you the best possible journey. You will congratulate yourself on your choice of a One Ocean Expedition journey. Forward Travel is the brainchild of seasoned travellers David Smyth and Rose Toohey, who have combined their knowledge and experience to help forward thinking travellers travel better, travel further and travel more. David and Rose have journeyed far and wide enjoying the road less travelled in preference to the busy highway. They own and run Forward Travel, so have the freedom, flexibility, and enthusiasm to tailor your trip exactly how you want it to be. They work directly with trusted tour operators in each country to offer you the largest range of choices in each destination. All Forward Travel journeys are customised for each person, so its style of travel is really your style. Forward Travel will discuss how you like to travel, the type of hotels and touring you prefer as well as how energetic you want to be. Forward Travel will then make suggestions to suit your preferences. Forward Travel doesn't pigeon hole you by star ratings, instead it discusses your preferences and match properties to suit. The hotels used here are mainly good quality 3.5-4 star, well located with local style. Forward Travel has fantastic indulgent places to mix it up when suitable. Most people convince a partner or friend to travel with them so prices shown are per person, based on two people travelling together and sharing a room. If you are looking for some solitude, Forward Travel can plan a trip just for you. Most of these trips are suggestions and can be tailored as you wish. Forward Travel welcomes larger groups and can often secure discounts for them. To keep things simple all the itineraries in this brochure have the signature Forward inclusions. 24-hour assistance by Forward Travel's trusted partners in each country. People who ordered The Arctic also ordered the free travel brochures below. Click on the images to find out more about these brochures.